Background: Published in 1886, this story has long been part of the horror canon. You know the story; your cousin knows the story; your grandmother’s cat knows the story. But you’ve probably never read it, right? Stevenson wrote the story between 3 and 6 days, possibly with the help of cocaine, while in a fever and suffering from a haemorrhage. Sounds like good times. What it’s about: The story follows a lawyer named Utterson who hears from his friend about a strange encounter in which a man called Mr. Hyde trampled a young girl. As Hyde continues to emerge as a violent character, Utterson digs deeper into the mystery of Hyde’s connection with his friend, Dr. Henry Jekyll, who has been acting strangely himself lately. After breaking into Dr. Jekyll’s laboratory, he finds the dead body of Hyde wearing Jekyll’s clothes, having killed himself. The big reveal, which anyone who hasn’t been living under a rock already knows by now, comes after this in the form of a letter from Jekyll to Utterson explaining the potion he created which turned him into Hyde. He initially wanted to separate his good side from his darker impulses, but all it ended up doing was creating an evil second identity, at the end no longer able to control his transformations into Hyde. Why it will keep you up at night: I imagine that reading this story in 1886 would be a surprising and riveting experience. Because we all know the reveal already, it seems to come rather slowly for modern readers. However, this does not diminish the dark and mysterious descriptions of a bestial Hyde as he goes on his rampages. Indeed, the story has withstood the test of time, still fascinating us today on deeper psychological levels. Evil twins, multiple personalities, the inner conflict of good and evil (namely humanity’s capacity for evil)… all of these themes continue to haunt us, making Stevenson’s story still relevant to us today. 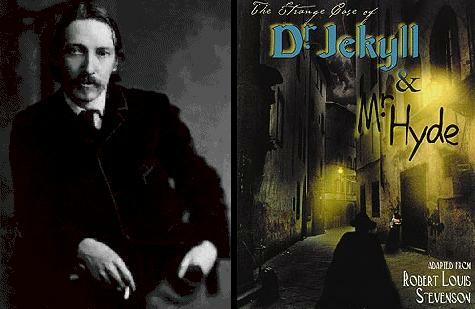 Read The Strange Case of Dr. Jekyll & Mr. Hyde now! I think this is the one story you’ve reported so far on that I’ve read before! It was Victorian Literature class about four years ago, a required reading. Shocking how many authors back then used drugs…then again I hear opium was a cheaper remedy for toothaches than going to a dentist. Definitely right that the modern reader doesn’t appreciate the worth since everyone and their cat knows the big twist, and it is a frequent theme in Saturday morning cartoons.